Long time, no talk in English! I've been busy with my tour of Finnish outdoor theatre. This text is also about the tour, but since the play I saw was in English, I'll write about it in English too. For this leg of the tour, we teamed with my friend Elina to see Shakespeare's Much Ado About Nothing performed by SEST, The Stockholm English Speaking Theatre. 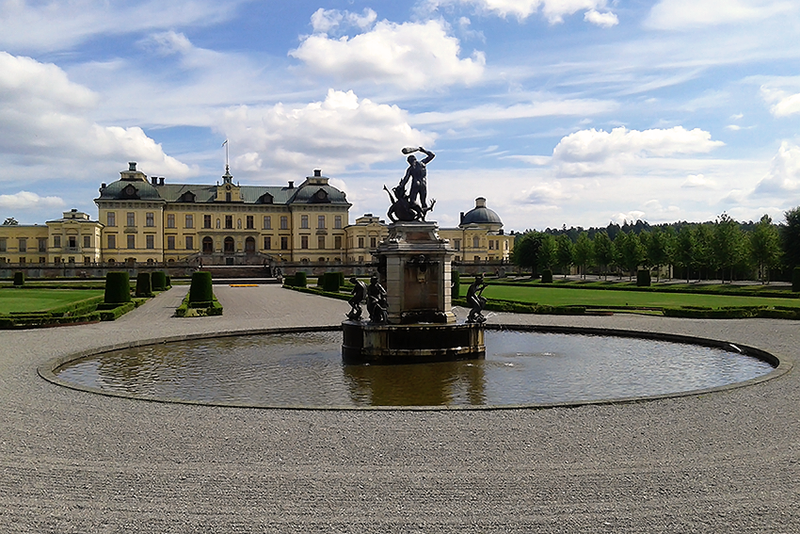 It was staged at the park of the Drottningholm Royal Palace. You know, this little cottage here. My only Shakespearean experience before this was a Finnish puppet theatre version of The Tempest, so I did some homework beforehand. I started by reading a new Finnish translation of the play. After that, I was still worried. It's said Shakespeare's English is very difficult. So, even if I knew the story in Finnish, could I grasp what the actors are saying? I started the original English text and quit after five pages. I often read modern novels in English, but this was too much. Would I be able to understand anything, watching the play? I was happy to find out that yes, I was! Not every word, of course, but I didn't have to struggle understanding what was going all at all. Pretty sweet, I think! But, and I guess you are wondering... Working our way towards a better understanding of 16th century English was indeed not our top reason for seeing the play. Instead, it had all to do with that recent Finnish production of Jesus Christ Superstar. I don't know what it means, salvation-of-soul-wise, when you and your friends all have a fangirl crush on Judas... Chris Killik amazed us in JCS. 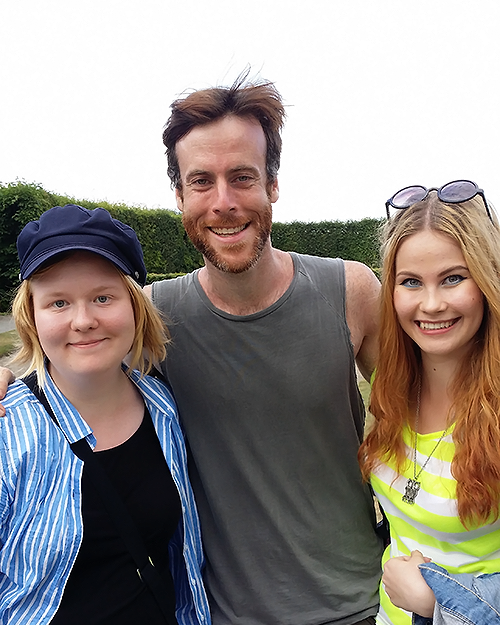 So when me and Elina heard he's playing Benedick in Stockholm, we figured it's high time for a summer trip to the neighbouring capital. It's probably needless to say, but I'll say it anyway – Killik was pretty amazing in this. (As was the whole cast, actually!) How can I describe the performance? You know the happy feeling you get when you're watching a favourite actor, and they're doing a really good job, and you're with a good friend, and it's summer and the sun is shining? That was this performance. Very very nice. Overall, though, I was a bit surprised how much I enjoyed the play. As said, I'm not very familiar with Shakespeare, and I found the production of The Tempest I saw boring. So, I was glad to find out this play was actually pretty funny. The character of Claudio is horrible, though. He doesn't deserve his happy ending. I'm still angry about that. Much Ado About Nothing is by far the most sophisticated my summer theatre tour has been so far. Sitting in the sun outside a grand royal palace, watching Shakespeare? Definitely a lovely, memorable theatre trip!